MSP260 is separated slip ring commutator, separate rotor and contact brush combination to support 10A/signal. All Rings are 90-degree V-slot design, torque small, low electrical noise. What is slip ring commutators? A commutator is a specialized slip ring typically used on Direct Current motors and electrical generators to transfer electrical power between the stationary housing and the rotating armature with the added purpose of reversing the electrical current direction. What is the difference between slip ring and commutator? 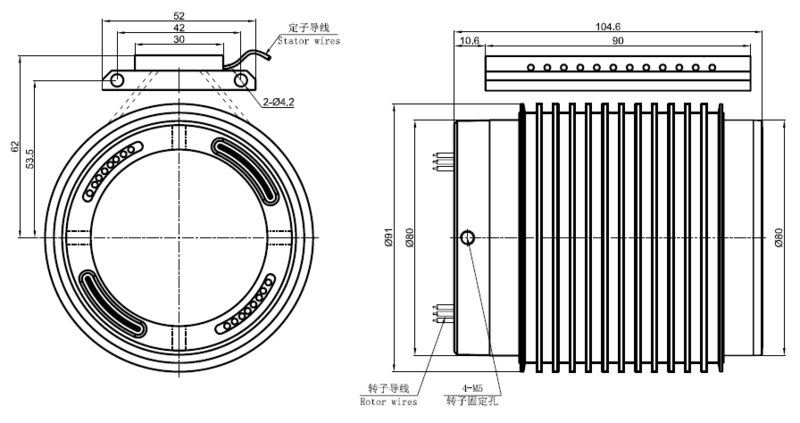 Contrary to the other definition given here, a slip ring is a continuous ring which is deigned to make continuous contact between the fixed brush contacts and the ring contacts on the shaft of a rotation object, to provide continuous power to items on the rotating shaft. A commutator in contrast has a ring with at least two breaks in it. Each opposing pair of resulting contacts is wired to opposite poles of the motor. In this instance the effect is to get a pole reversal synchronous with the revolution of the motor - the alternating field is what they call commutated - and thus it causes the poles of the windings to alternate polarity and turn the motor. 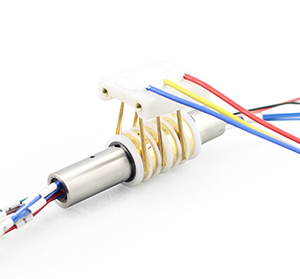 SO in short, slip rings are for continuous conduction and commutators are for synchronous reversals of the wiring. It should also be noted that slip rings can be used for signals other than power - such as sensor signals for sensors that are on a rotating object such as a reel or a motor armature that need to be recorded on a fixed platform. You would NOT use a commutator for that.